Please email me with any questions or requests for additional pics or something specific at: iselaissvob@hammersfans.com . FIRST $38, 000 takes it. 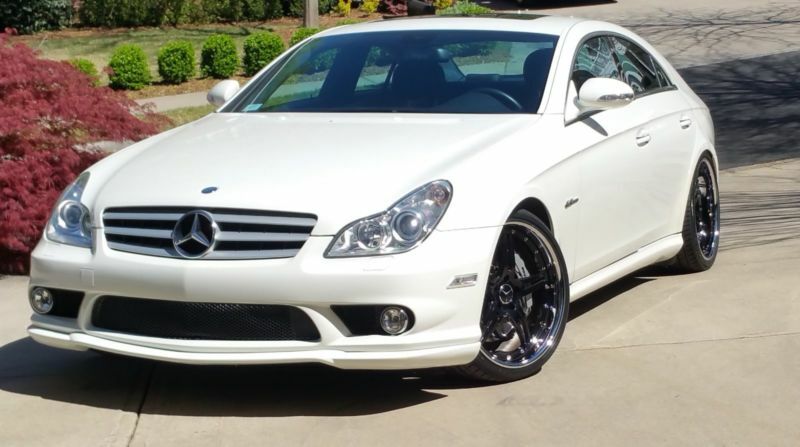 2007 Mercedes CLS63 AMG. This is one hell of a (race) car. 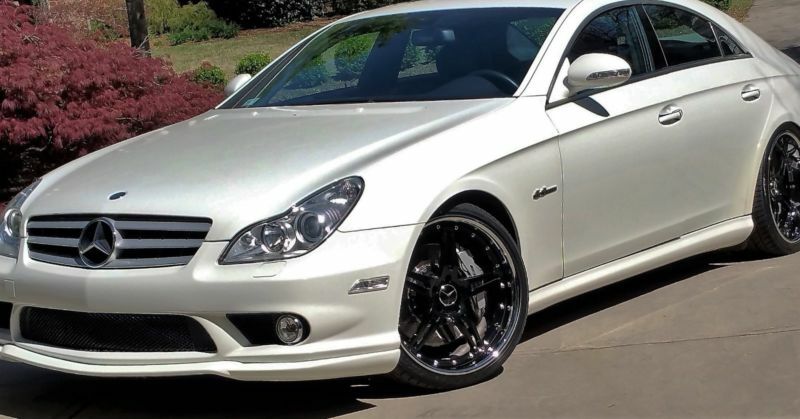 There are only a few CLS 63 AMG's on the market and this one is the baddest of them all. With a real 6.3 liter, screaming 507 HP power plant, it is easy to understand why. Artic white exterior with black leather interior with suede leather trim and headliner, this is the most BA combination and not the typical silver or black that seems to be everywhere (stand out, not blend in) This is also one of the ONLY 07 CLS63 AMG's with backup camera which was several grand to upgrade. 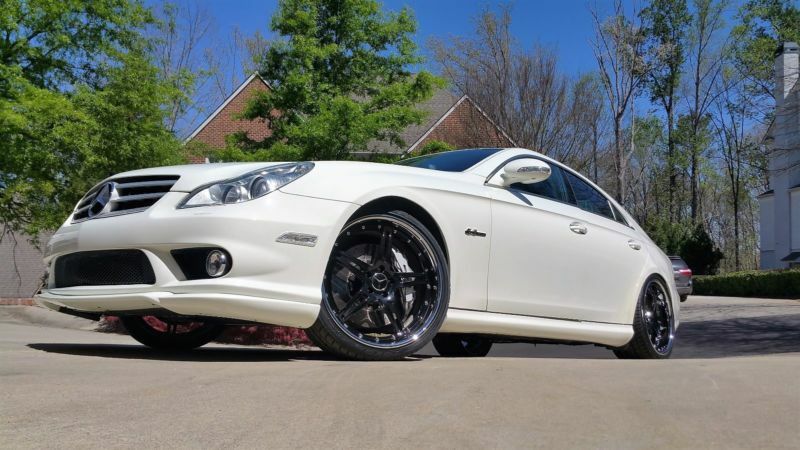 This vehicle is equipped with both pushbutton start and keyed start, navigation, 20 inch high velocity deep dish rims along with BRAND NEW ALL WEATHER TOYO tires with 30 miles on them. 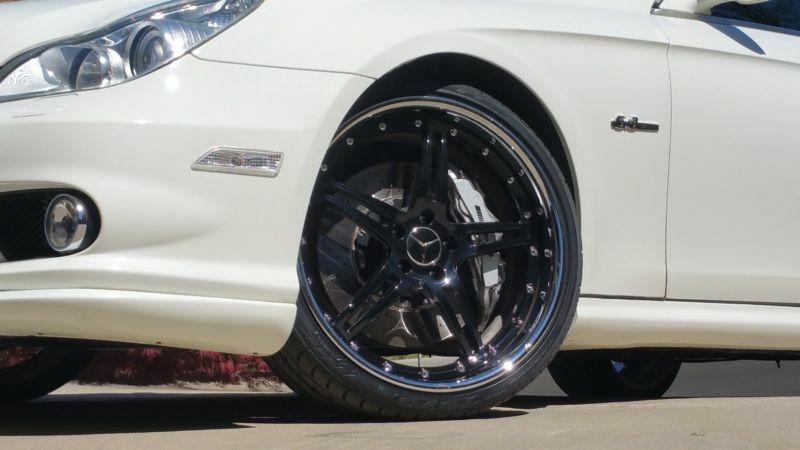 This vehicle also includes a nearly new set of SUMMER RATED directional tires with about 3, 000 miles on them. Both sets are Y rated for 190 MPH. This car has never seen snow and owned by non-smokers so the only smell inside is the smell of the real leather upholstery (AMG is the only version with real leather). This car drives like new and wants to run and will hit 60 mph in about 4 seconds. IT IS THE REAL DEAL and is not for the faint of heart. The traction control will keep you going straight but hitting over 100 mph in a little over 7 seconds and with a top end of near 200 mph (yes, not a typo...200 MPH!!!) this car requires someone who knows how to drive. It is possible to keep it within reason but it is not easy. That deep growl of power seems to seduce you into giving it a little push everytime you drive it. There is no hesitation when you do and it literally pushes you into the back of your pure nappa leather seats. This car has never been in an accident and has always been garaged. Sold new for well over $100, 000 and with only 29, 355 miles on it, this car is still being broken in. If you have always wanted a CLS63 AMG, and who has not, this is the one to pull the trigger on. It turns heads everywhere and everyone who knows cars knows this is the beast of the street. I have a clear title in hand. Serious buyers only. 38k is the price and worth every penny so please no lower offers as I won't take a dime less. Thanks for looking and hooyah! to my vet brothers and sisters.